We started out a little rough, but Arya has finally decided that taking a bath is fun. Baby loves taking a bath. She gets excited when we get ready for bath time. 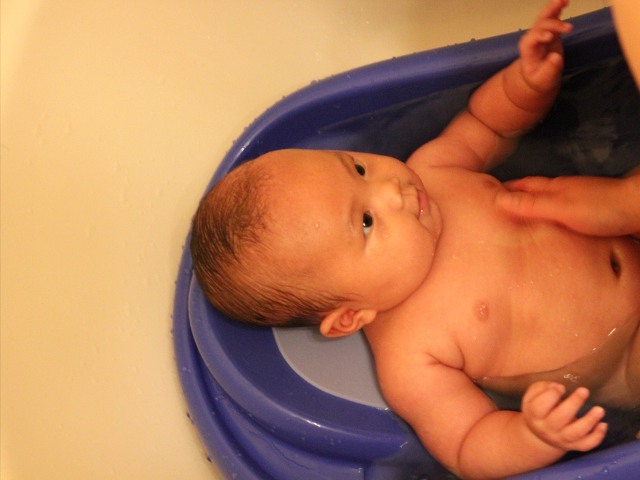 Once inside the tub she starts splashing around and giggling. A few weeks ago Arya was just tolerating bath time, but now she really enjoys the whole experience. 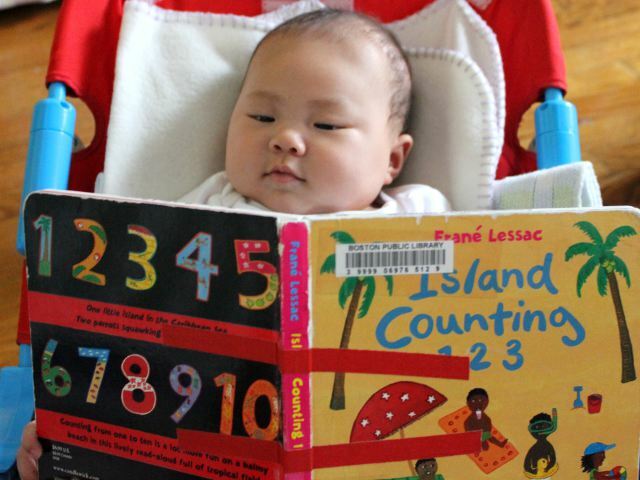 With a colorful front cover, Island Counting 1 2 3 by Frane Lessac is exactly the kind of book my baby likes to look at. Set on an unnamed Caribbean island, the book teaches children how to count by using pages filled with a specific number of items. 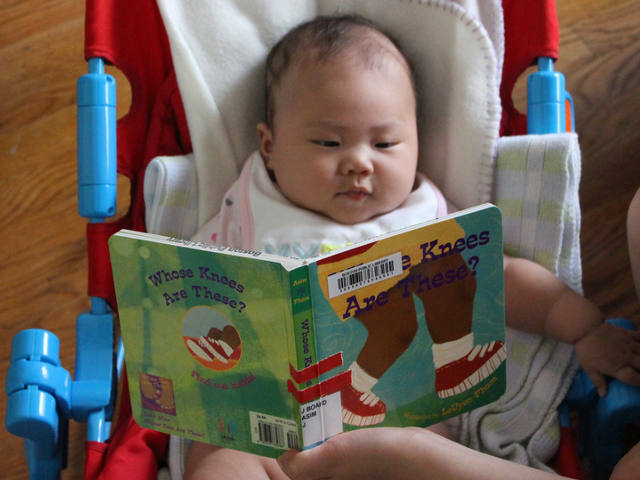 Even if my daughter is too young to learn how to count, she still enjoyed looking at the fun pictures on every page. 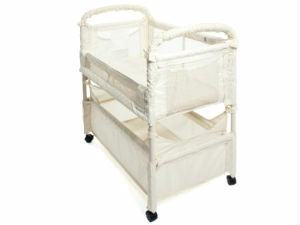 If you are shopping for a new bed for an infant or newborn, you may be interested in the Baby Home Dream Portable Cot. The cot, as its name implies, is designed to make parents and babies feel at ease while retaining a small, mobile design. From its high-quality appearance to the multiple positions, the cot is a great choice for parents looking for bedding for a new addition to the family. There are so many cribs and beds available for our little ones but the Athena Daphne Convertible Crib and Changer offers surprising versatility in a compact product. 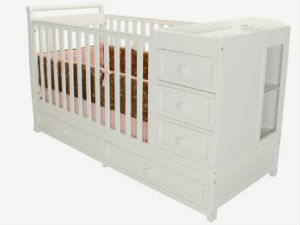 The base configuration is a crib, but the configuration allows the Daphne Convertible to be used as a baby changing table. Extra storage space is a bonus with every feature packed into a small design. The Arms Reach Concepts Inc. Co-Sleeper Mini Clear-Vue is a mini bassinet designed to help a newborn baby sleep peacefully through the night. The product can be used either as a co-sleeper or a standalone bassinet. It is quite reasonably priced and hence it is one of the fast selling bassinets available from reputable online retailers. As the name indicates, this is a mini bassinet which gives the parents, full and continuous view of the baby while she sleeps or plays. My baby has a crooked head. Arya had a special consult with a neurosurgeon this week to look at her head. 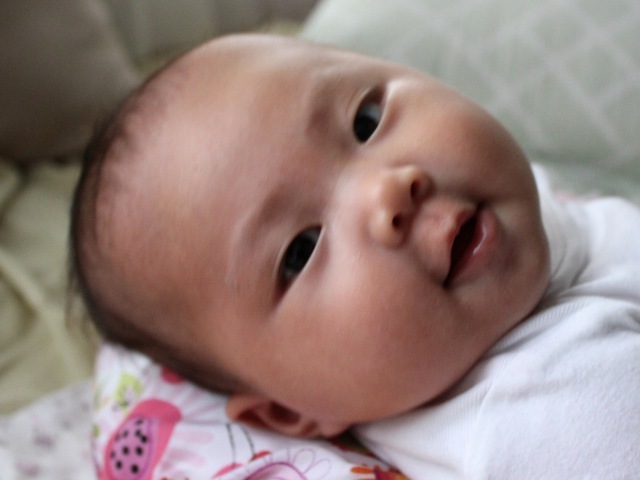 Although her head circumference has improved, we were still worried about her head being a little crooked. The back of her head is a little flatter than normal while the back-half of the top of her head is taller than normal. The Arms Reach Co-Sleeper brand Mini Co-Sleeper Bassinet is a small co-sleeper designed for a baby to be put to sleep comfortably. 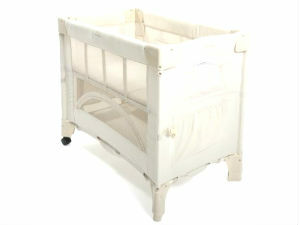 The bassinet is secured to the main bed with tight straps. The straps allows for a neat look as they are hidden under the mattress, but still provide tight security. The Arm’s Reach Mini Co-Sleeper Bassinet, as the name indicates, is a mini co-sleeper and fits in easily in small bedrooms. One need not worry about not having a bedroom big enough to hold the baby’s co-sleepers. These mini bassinets have two racks the top of which can be used a bed and the bottom of which can be used a storage place for toys and other baby essentials. 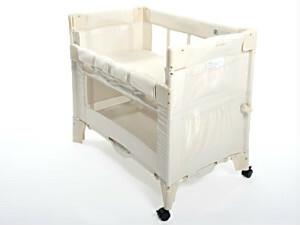 The Arm’s Reach Co-Sleeper Mini Bassinet Convertible is an excellent co-sleeper for the baby and can be adjusted well next to a queen size bed. 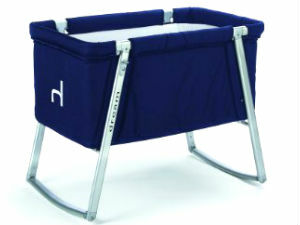 A bassinet is spacious and comfortable for a young baby and provides the warmth and security of being close to parents. 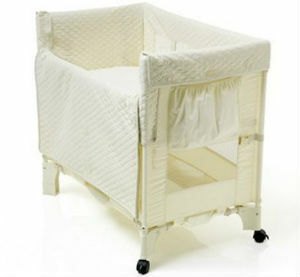 The movements of the legs and hands of the baby is not restricted and the bassinet provides room for a baby to grow.